April 11, 2018 — On Monday Dublin became the first European capital to endorse the Boycott, Divestment and Sanctions (BDS) movement for Palestinian rights. Citing Israel’s “inhumane blockade and siege of Gaza,” the Dublin City Council promised to discontinue all its business contracts with the BDS-targeted Hewlett Packard (HP) branded companies and spin-offs, including DXC Technology, given their complicity in Israel’s egregious violations of Palestinian human rights. Yesterday, Israel tried unsuccessfully to bar entry to Dublin’s mayor as he was on his way to attend meetings in Ramallah. Israeli authorities mistook his title for his name, drawing ridicule from Palestinian and other social media activists. Mayor Mícheál MacDonncha is currently meeting with Palestinians in the occupied Palestinian territory. Tens of thousands of Palestinians have been peacefully protesting the siege and demanding the UN-stipulated right of Palestinian refugees, who constitute the majority in Gaza, to return to their homes of origin from which they had been forcibly displaced. Dublin has offered the strongest response to date to Israel’s latest massacre against unarmed Palestinian protesters in the occupied and besieged Gaza Strip. This is the most impressive win yet for the BDS movement in 2018. The people of Ireland, with their long legacy of struggle against colonialism, have shown that while governments in the US and Europe are deeply complicit in Israel’s crimes of occupation and apartheid, people of conscience stand on the right side of history, against oppression and for freedom, justice, equality and human dignity. After 70 years of dispossession, 50 years of military rule, and the devastating 10 year siege that suffocates us in the world’s largest open-air prison, we need such meaningful solidarity, especially in the form of BDS. In just the last two weeks, the Israeli military, following a shoot-to-kill-or-maim policy, has already killed 30 Palestinian civilians in Gaza and injured over 3,000. 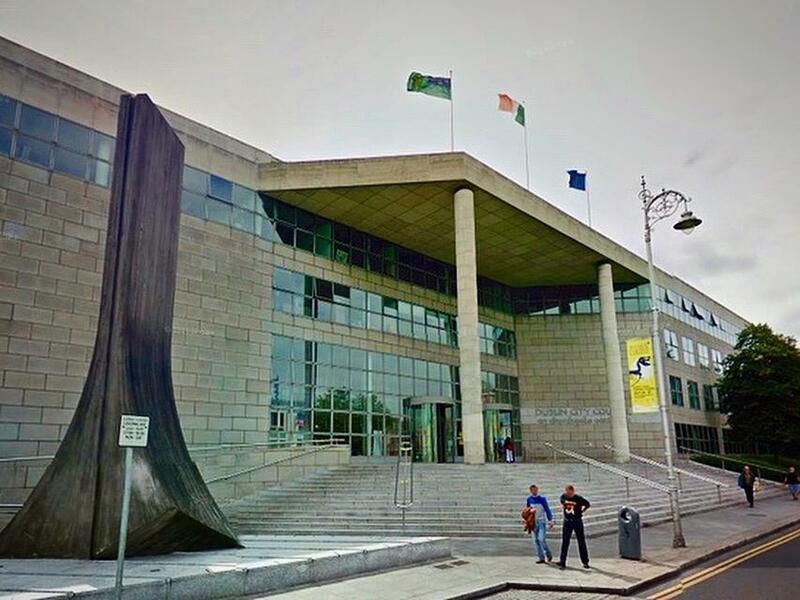 By excluding HP companies, the Dublin City Council is taking an important step towards ending security and military ties with Israel and corporations that enable its system of oppression. The most important demand raised by Palestinians in response to Israel’s latest massacre is imposing a military embargo similar to the one enacted by the United Nations against apartheid South Africa. Thanks to Dubliners, Irish supporters of Palestinian rights elsewhere, and growing numbers of BDS campaigners around the world, we Palestinians are in our darkest hours assured that we are far from alone, and that together we can bend the arc of history towards justice. This victory for Palestinian rights follows on the heels of two other recent victories in Ireland. Earlier this month, the Irish National Teachers Organisation (INTO), with over 40,000 members, passed a resolution which mirrors the 800,000 strong Irish Congress of Trade Unions (ICTU) position on Palestine by fully supporting the BDS movement and its aspirations. And less than a week ago, the Union of Students in Ireland (USI), representing 374,000 students in higher education, voted to do the same. Hewlett Packard’s violations of Palestinian human rights have been well documented. Aside from providing services and technology to the Israeli army that maintains Israel’s military occupation and siege of Gaza, and biometric technology that enables the Israeli government to control and enforce its system of racial segregation against Palestinians, HP has been deeply complicit in enabling the Israeli prison system, notorious for torture and other human rights abuses. HP has already suffered financial and reputational damage from BDS campaigns for Palestinian human rights. Several Christian denominations in the US have already divested from HP at the national level, and 26 Christian congregations across the country have committed to being HP-Free churches which refuse to buy any HP products. The campaign against HP has attracted support from faith communities, student governments and trade unions across the world. Under this pressure, HP has conducted a corporate re-shuffling that renders the companies involved no less complicit or subject to BDS campaigns. With this decision, Dublin joins dozens of local authorities across the Spanish state, Norway, Sweden, France, the UK, Belgium and Australia that have passed resolutions supporting BDS or pledged to avoid doing business with companies targeted by the BDS movement due to their complicity in Israel’s violations of Palestinian human rights.